POUGHKEEPSIE, Dutchess County; HIGHLAND, Ulster County (1.28 miles) Scenic Hudson was a major supporter of turning this 1889 railroad bridge into the world's longest elevated pedestrian span. Outstanding views along the 1.28-mile bridge include eight properties protected by Scenic Hudson. 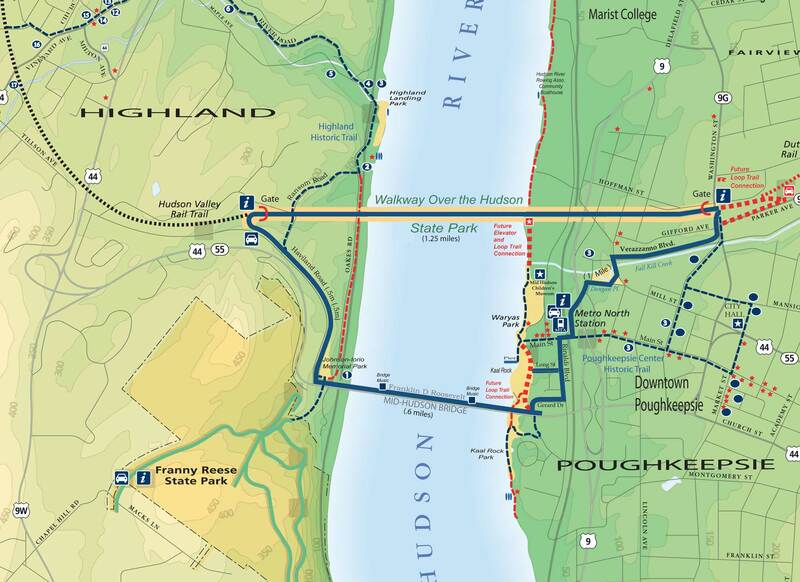 The universally accessible Walkway is part of the Walkway Loop Trail and links to the Hudson Valley Rail Trail (Ulster), making longer excursions possible. 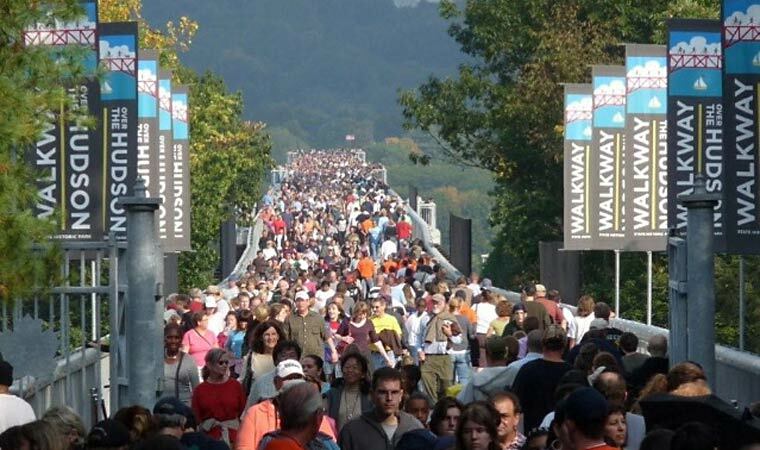 For inquiries about Walkway Over the Hudson State Historic Park, call Walkway Over the Hudson at 845-834-2867. Conditions permitting, year-round daily 7 a.m. to sunset.